Stowell Court and Candle Auction, Tatworth, Somerset, England 1975. Auction takes place in lounge bar of the Poppe Inn. 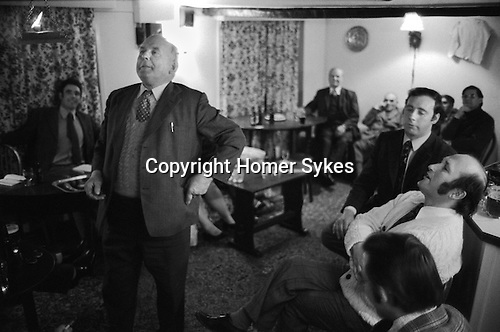 Mr Lloyd E Staples, local farmer and landowner, there is a road in the village named after him checks the candle, no one bidding is allowed to leave their seats.